The pair held a wedding reception in New Delhi which was attended not just by celebrities but also by the Prime Minister of India, Narendra Modi. Keeping up with the Kardashians? 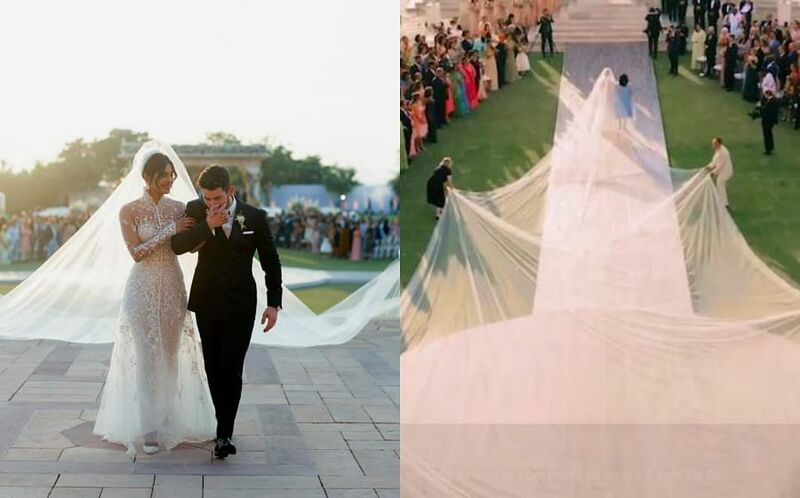 Try keeping up with Indian actress Priyanka Chopra and American singer Nick Jonas' wedding festivities. Following a week long of Hindu as well as Christian ceremonies (in which she wore an incredible 75 foot-long veil) and celebrations in Jodhpur, the pair flew to New Delhi for an additional wedding reception held on 4th December. The happy occasion wasn't just attended by celebrities, it was also graced by India's Prime Minister Narendra Modi. Game of Thrones star as well as fiance to the groom's brother Joe Jonas, Sophie Turner, was also present. For the celebration at a New Delhi hotel, the bride donned a spectacular handcrafted lehenga by Indian couture house Falguni Shane Peacock India, which was embellished with Swarovski crystals and traditional motifs. Her hair was worn in a romantic updo and accented with white roses for a soft, elegant look. 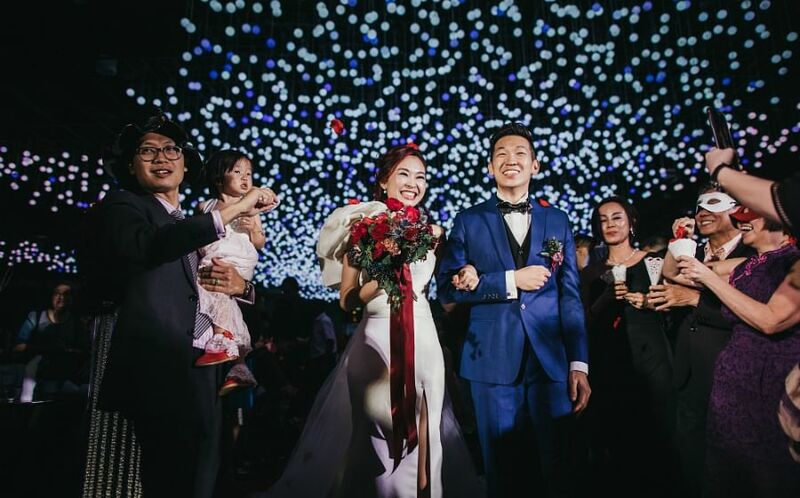 Her groom evoked elegance in black velvet tux. Well, it seems like the pair's string of wedding festivities don't end here. They're reported to be hosting a reception in Mumbai on Dec 20 for industry friends (aka more celebrity friends). Will guests be in need of a vacay after? We certainly think so. 9 Asian cities for your hen's trip!